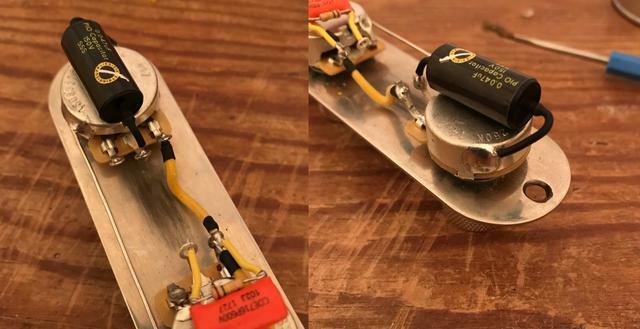 This guide will show you how to wire a Telecaster. The Telecaster was the first commercially produced guitar in the world. Way back in 1950, Leo Fender's first creation, the Esquire evolved into the Broadcaster in 1952 before finally settling on the Telecaster name. This guide is based on our Telecaster wiring kit and the components therein. There is a wiring diagram at the end of the article and we recommend you study it carefully before starting. - It is recommended that you lightly tin the terminals of the pots and switch that will require a solder connection, as well as the tips of the wires. Tinning the components before makes for an easier and more reliable solder connection - both electronically and mechanically. - Ideally you want a temperature controlled soldering iron set to between 365°C-400°C (lead free will require the higher temperatures). 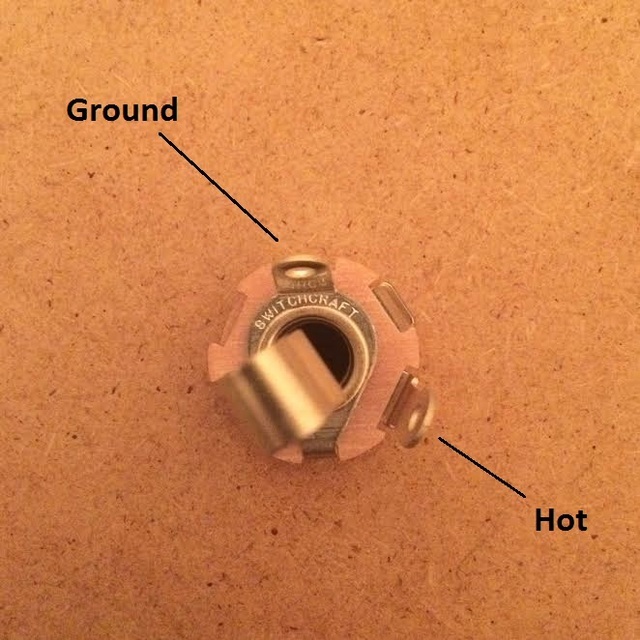 Solder melts at substantially lower temperatures but you need to make sure the component gets hot enough to allow the solder to flow into the joint you are creating. - Heat transfer is key - make sure to keep you solder tip clean and tinned throughout the process. Use a damp heat resistant sponge or brass/steel shavings to clean off excess solder and residue. Assuming you have already removed the control plate from your guitar, assemble the components as per the below photo. The two CTS pots need to be facing each other. The pot nearest the switch is the volume control while the second pot is the tone control. With regards to the switch, it doesnt matter which way it sits in the control plate - it will work the same whichever way round you place it. We'll start off by grounding - the third terminal of the volume pot needs to be grounded - to do this, fill the eyelet with solder and let it cool. Then bend the terminal back onto the pot casing. Hold your soldering iron onto the pot casing to warm the area and flow solder in to complete the joint. Alternatively, just use a wire running from the eyelet and solder this to the pot casing. See the below photos for reference. Next - lay down the ground wire connecting the two pots together - start of by tinning the side of the pots by warming the area and flowing a small puddle of solder onto the pot casing. Then, using either the black cloth wire provided or some tinned copper wire connect the two pots together. NOTE - this step is not essential if you are using a metal control plate. The pots are grounded by the control plate. The easiest method is to use a single wire running from the top of the switch continuously to the input lug on the volume pot. Using the cream cloth wire provided, pull the cloth back 5cm or so until you have enough bare wire underneath. Follow the below 3 way switch wiring schematic and solder the end of the wire to the furthest switch terminal (lug 1 on the diagram), then lug 2, then 7 and finally 8. 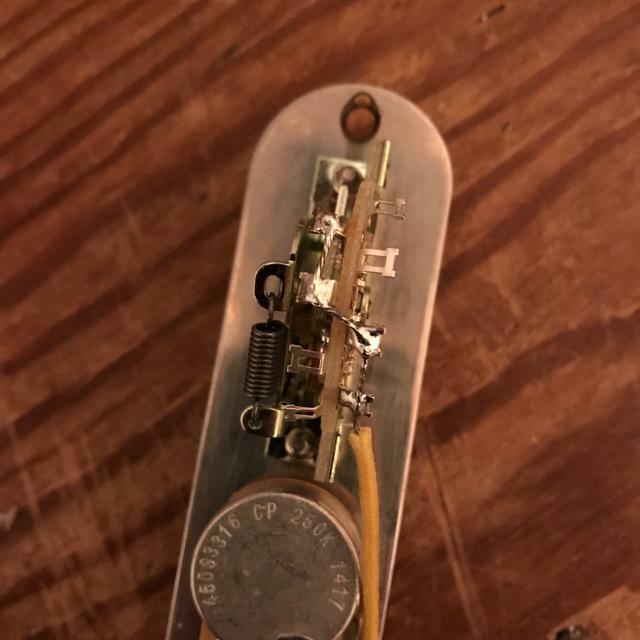 The wire running from the switch gets connected to the input terminal of the volume pot - in the same eyelet you will solder the wire running to the temrinal directly opposite on the tone control, as well as the treble bleed if you are using one. Before connecting the jack - lets add the capacitor. We are using a 0.047uF paper in oil cap - you can use an orange drop and even vary the value by using a 0.022 or 0.033. Most capacitors in guitar wiring are not polarised, so it does not matter which way round you put it. In a Telecaster, one lead gets soldered to the middle terminal of the tone control and the other lead gets grounded. Your switchcraft jack has two terminals - a ground and a live/hot. Take 15cm of black cloth wire and solder it to the ground lug (the inner ring is always the ground on a jack). Once cooled, cover the joint with the heat shrink tubing. Not only does this create a more durable jack, it insulates and protects the joints from coming into contact with any shielding materials (copper foil, shielding paint etc...) that you may be using inside your guitar, potentially creating a short or grounding issues. Repeat this step using 20cm of yellow/cream wire for the hot terminal. You can also use this tubing to keep both of the jack's lead wires together until they break away to their different solder points in the circuit. 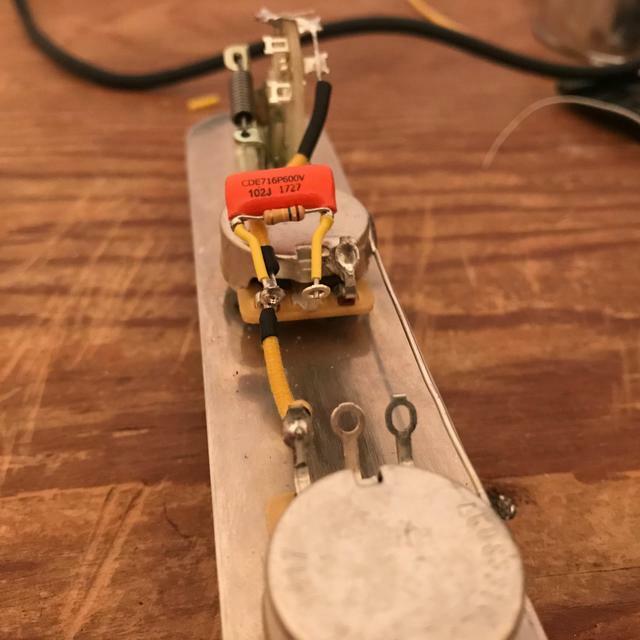 With the jack completed, solder the ground (black wire) to the back of the tone or volume control pot and the live (cream wire) to the output lug of the volume pot. This is the middle lug. That's the Telecaster harness completed. 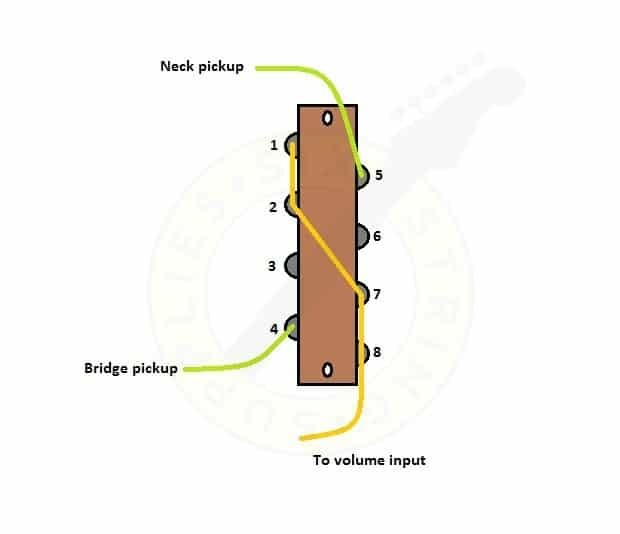 Now you simply have to connect your pickups to the correct terminals (follow the diagram below) on the 3 way switch, connect the groud wire running to the bridge and reassemble your guitar. 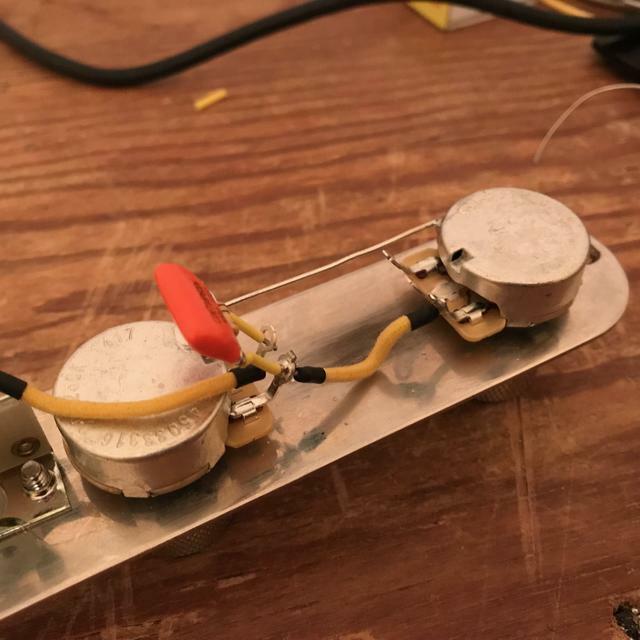 Telecaster wiring is actually quite simple - as long as you are skilled enough with a soldering iron and have a good, clear and easy to read wiring diagram then you shouldn't have any problems at all. This is the simple 3 way Telecaster wiring, the guitar's classical form but there are many other options to explore - Premier Guitar have a great guide on possible Telecaster wiring mods or we have a range of different wiring diagrams specifically suited for Telecaster wiring, including the 4 way mod, wiring in series as well as some vintage setups. 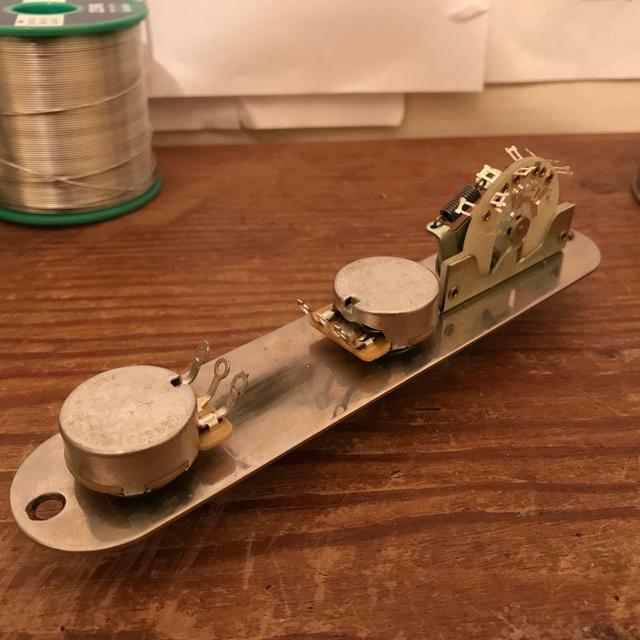 To wire a reverse Telecaster control plate so the 3 way switch is on the far side, (away from your hand) we have a wiring guide on how to do this. All of the components used in this guide can be found in our guitar electronics section.